China’s ruling Communist Party has banned its 88 million members form ‘extravagant eating and drinking’, ‘sexual relationships outside of marriage’ and…’playing golf’. The measures, reported by the official Xinhua news agency, were announced as a ‘moral ethical code that members must abide by’. China has been conducting a strict anti-corruption drive since 2012 and the new rule on golf states that its members are banned from ‘obtaining, holding or using membership cards for gyms, clubs, golf clubs, or various other types of consumer cards, or entering private clubs". Failure to stick to the regulations could result in a warning or expulsion from the party. Or, if you are very unlucky like Lin Chunsong, a vice-mayor in the south-eastern Fujian province, being sacked for belonging to a golf club and playing while he should have been at work. 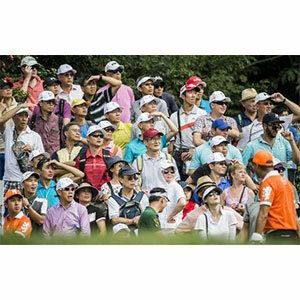 In 2004 China announced a ban on building new courses. The number of courses, though, has since increased from 200 to 600 this year.